Andy is a born collaborator who uses a team approach to efficiently and effectively pursue the goals of his real estate clients. He views the big picture from the client’s perspective, gains a thorough understanding of what the client seeks to accomplish and ensures everyone is pushing in the same direction. Andy advises commercial real estate clients on transactions such as purchases, sales, mortgages and leases. Additionally, he guides developers, builders, investors, banks and mortgage lenders in making decisions that positively influence their business goals. 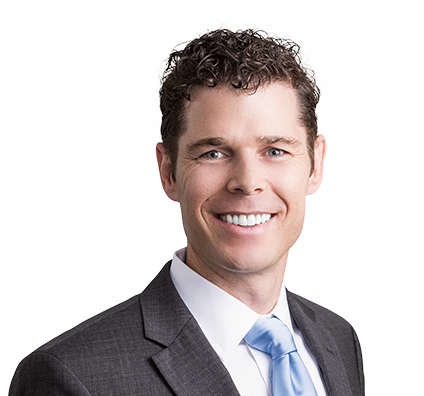 Andy skillfully negotiates a multitude of property agreements – from acquisitions to easements – and advises financial institutions on asset-based lending transactions. A joint venture client sought to acquire a $47 million shopping center in Colorado. The acquisition was the back end of a 1031 like-kind exchange that the client received by selling a property in Florida, and the joint venture obtained a $34 million loan for the acquisition. Though the dealings involved tense exchanges, Andy’s team successfully led negotiations on the joint venture agreement, loan documents and all aspects of the acquisition. They also creatively framed the buyer’s organizational structure and joint venture documents to conform to the lender’s underwriting requirements and satisfy the expectations of the joint venture partners. Served as lead attorney in representing six borrowers on $160 million loan refinance transaction for which the loan was secured by real estate in six states. Corporate aspects of the transaction involved restructuring borrowing entities to conform to the lender's underwriting guidelines. Represented buyer in acquisition of five retail centers in two states with purchase price in excess of $85 million. Advised client on all aspects of transaction, including title, survey, environmental and other due diligence matters. Also represented client on all facets of acquisition financing secured by the shopping centers. Represented borrower in secured real estate loan transaction in which the loan was secured by one of the largest working ranches in the United States. Advised lender in multimillion-dollar secured loan financing transactions in connection with development of low-income housing and related tax-credit transactions and borrower’s purchase of partnership interests related to the development. Represented client with ownership and leasing issues related to portfolio of office buildings in the St. Louis, Missouri, area, including drafting new leases, modifying existing leases and advising on refinancing transactions. Advised restaurant client on lease issues related to client's establishment of footprint for restaurant franchise. Advised client on acquisition and development of land to construct multifamily apartment and townhome complexes. Counsel included entitlements, title, survey, development and construction matters. Counseled client on acquisition and financing of $30 million under-construction shopping center development, including all aspects of due diligence and advising client on term loan, construction loan and development issues. Represented landlord in ground lease transaction related to regional entertainment venue. Drafted joint venture documentation for entity investing more than $300 million in multifamily developments throughout the United States. Advised client on operating agreement and all related corporate and financing documents for joint venture. Family life and occasional golf outings fill Andy’s personal time. With two active kids, no two days are the same. One day Andy is watching a T-ball game, the next day driving to soccer practice, the next day playing Monopoly on game night at home. Spending time with his wife and kids is the most important time for Andy – and the joy of his life. When he’s not with his family, Andy plays golf. He enjoys every aspect of the game: relaxation, the outdoors and exercise. He’ll tell you he used to be a good golfer before he had kids – a statement supported by his spot on the golf team at Truman State University. Andy’s civic involvement demonstrates his love for his community, family and pets. He volunteers at St. Louis County Animal Care, where he works with lost and abandoned dogs and cats needing lifetime homes.